What are the Android Auto and Apple CarPlay Features? Chrysler, Dodge, Jeep, Ram vehicles can always be counted on to feature so if the latest technology on the market. Android Auto and Apple CarPlay are two such features that bring convenience, connectivity, entertainment and more to Lubbock drivers. Take note of each of their functions to see if you would like them included on your next vehicle. Calendar Reminders: Never miss a meeting or appointment with reminders which are tied to your Google Calendar. Navigation: Get directions to you to home, work, or other destinations tied to your Google account. Texting: Keep your attention on the road while messaging anyone in your contacts with voice-to-speech technology. Streaming Entertainment: Traffic jams are less frustrating when you can listen to your favorite album, podcast, or audiobook. Access Apps: Your favorite apps are easily accessed for navigation, streaming, and more. If you don’t have a Chrysler, Dodge, Jeep, Ram vehicle, the Android Auto app is also available for download to your phone to provides access to these benefits until you’re in a place to upgrade to a brand new vehicle. Would you like a demonstration of how easy Andriod Auto and Apple CarPlay are to set up and navigate? 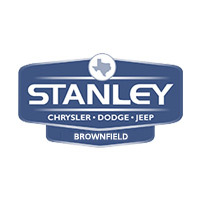 Our team at Stanley Chrysler Dodge Jeep Ram Brownfield in Brownfield would be happy to show you just how much they can improve your driving experience. Contact us with any questions you have, or to set up a demonstration today! 0 comment(s) so far on What are the Android Auto and Apple CarPlay Features?